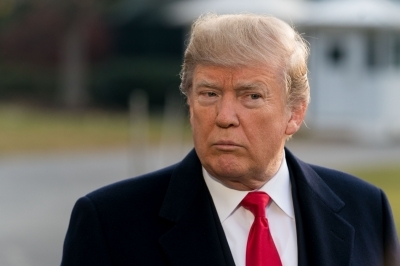 Washington, Dec 8 (IANS) US President Donald Trump has said he will nominate William Barr to be the new attorney general, a post the jurist previously held between 1991 and 1993. If confirmed by the Senate, the 68-year-old Barr will succeed Jeff Sessions, who was forced out by Trump on November 7, Efe news reported on Friday. "He was my first choice from day one, respected by Republicans and respected by Democrats," Trump told reporters at the White House. "He will be nominated for the US attorney general and hopefully that process will go very quickly," the President added. Sessions stepped down amid criticism from Trump and was replaced on an interim basis by his Chief of Staff, Matthew Whitaker. The relationship between Trump and Sessions soured due to the latter's decision in March 2017 to recuse himself from any involvement in the Justice Department investigations regarding alleged Russian interference in the presidential election, or potential collusion by the Trump campaign with Moscow. Sessions did so after questions arose about the then-senator's contacts with the Russian ambassador in 2016 while he had a role in Trump's campaign. Less than three months after Sessions' decision, Deputy Attorney General Rod Rosenstein named a former FBI director, Robert Mueller, as special counsel in the Russia investigation. That appointment came on May 17, just eight days after Trump fired then-FBI Director James Comey, who had been leading that agency's Russia probe. Barr, who served as attorney general under former US President George Bush, could oversee Mueller's investigation if confirmed. US intelligence agencies accuse Russia of interfering with the 2016 campaign to favour Trump over his rival, Hillary Clinton. Trump denies any collusion and Moscow denies meddling in the 2016 election.